In 1907 The Caravan Club of Great Britain and Ireland was formed (today known as the Caravan and Motorhome Club), with an aim to represent the interests of the rapidly growing number of horse-drawn leisure caravanners. Unlike the many clubs of the Edwardian era which only admitted men, this modern and progressive organisation was made up of around one third of female members in the years before the First World War. 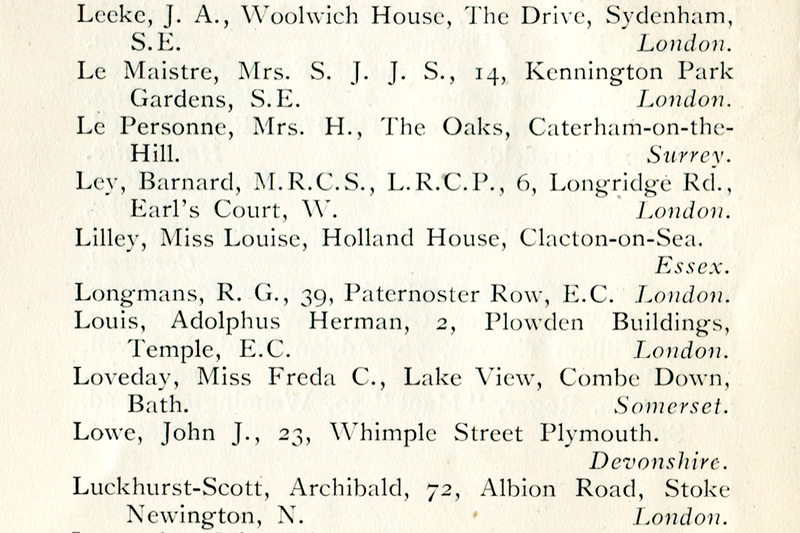 An extract from The Caravan Club’s 1913 list of members. The formative years of The Caravan Club coincided with the growing momentum of the suffrage campaign which sought to gain equal voting rights for women. I have been keen to discover whether suffragists (those who campaigned using peaceful methods such as lobbying) or even suffragettes (who used militant and often unlawful campaign tactics) sat among the third of women listed in the ranks of the Club. As pioneering leisure caravanners these women broke social moulds, they often toured the country in female-only parties and enjoyed outdoor pursuits more traditionally reserved for men. Surely it would stand to reason that some would be involved in the most significant political movement of a generation? At the Club’s Collection of historic material held here at the National Motor Museum, there are two hugely significant documents which have been key to unlocking the stories of our early Club members. Two printed lists from 1910 and 1913 contain the names and addresses of each member including writers, artists, eminent surgeons and heroes of the First World War. I recently set about uncovering if supporters of the suffrage movement also sat among them and I made several fascinating discoveries. A WSPU Hunger Strike Medal presented to Louise Lilley. Courtesy of the Museum of London. Imprisoned in Holloway, like many other suffragette prisoners they suffered a short period of hunger strike as a protest that they were not being treated as political prisoners. 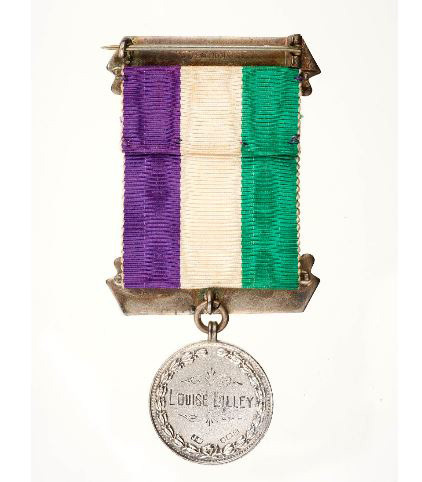 On their release the sisters were presented with a Holloway brooch and hunger strike medal from the WSPU, with their homecoming being reported in the Chelmsford Chronicle: ‘A big crowd has assembled, and the appearance of the Misses Lilley, who looked none the worse for their novel experience, was greeted with loud cheers’. 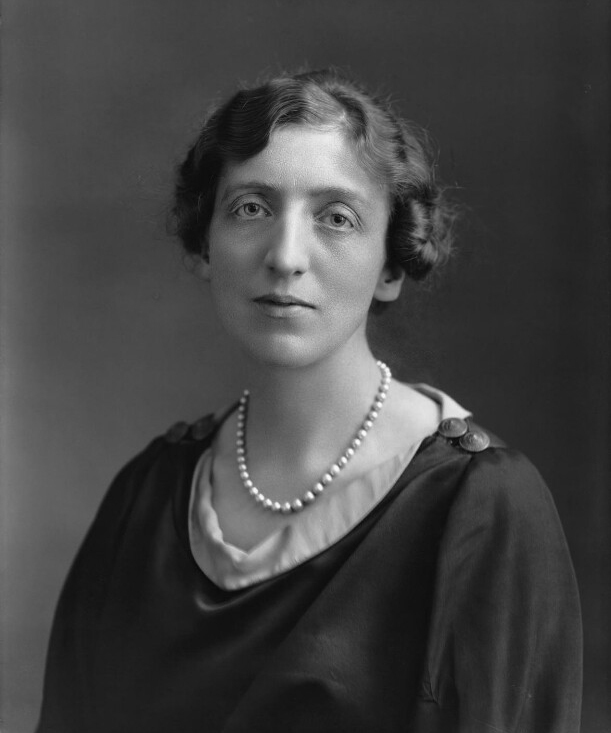 Caravan Club member and suffrage campaigner Lady Denman. Courtesy of the National Portrait Gallery. In contrast to the exploits of Miss Lilley, fellow Club member Lady Denman of Balcombe Place in Sussex belonged to a group of suffrage supporters who were deeply opposed to the increasing militancy of the WSPU. In 1908 the young Lady Denman was elected to the Executive of the Women’s Liberal Federation who took a constitutional approach to campaigning. They were shocked at the WSPU’s tactics of targeting Liberal politicians, including keen anti-suffragist Prime Minister Herbert Asquith, yet they worked tirelessly to promote the cause for voting equality amongst their own party. However, Lady Denman’s involvement with the campaign ended abruptly when in 1911 her husband was called to become Government-General of Australia, a country which has granted votes for women nine years earlier. Although her role in the British suffrage campaign was cut short she later returned to the UK and in 1917 was elected as the first Chairman of the newly formed National Federation of Women’s Institutes for which she is best known. Research has also uncovered Caravan Club members who took active roles in local branches of the National Union of Women’s Suffrage Societies (NUWSS), another non-militant organisation headed by Millicent Garrett Fawcett. These include suffragist Miss Susan ‘Susie’ Hardy who became Secretary of the Salisbury branch of the NUWSS when it was founded in 1909. Also, Miss Amy Sharp, Chairman of the Ambleside and District NUWSS branch who achieved great success in gaining support for the cause in her area. I was delighted to uncover these women’s stories and discover that both suffragettes and suffragists formed the ranks of The Caravan Club. Despite these women representing different organisations with varying opinions on how the vote should be won, all worked to achieve the equality at the polling station which we enjoy today. Crawford, E. 1999. The Women’s Suffrage Movement: A Reference Guide 1866-1928. London: University College London Press. Huxley, G. 1961. Lady Denman. London: Chatto and Windus. Stone, J.H. 1913. Caravanning & Camping Out. London: Herbert Jenkins.